I'm not a choco-holic. I don't consume nearly as much chocolate as I breathe drink coffee. That being said, I am really into chocolate. Its color, nuances, undertones, texture, "hints of (enter flavor here)", basically anything having to do with the excellency of chocolate, I am into. I take it very seriously, much like my coffee. You have no idea what that means to me. Some people become overwhelmed at discovering a silhouette of Mother Mary on a piece of toast, well, replace that with Scharffen Berger and you have me. You see, the nearest I can get any of these chocolates, in 1 ounce bars, is about a forty-five minute drive, one way. Bambers, this little pretentious market in South Bend, quit carrying them a while ago. (I should check to see if that's still true. Last I checked, they still carried Scharffen Berger baking bars.) To see these chocolates at Marshalls was a very big shock. Pretty much a 10.0+ on the Richter scale. Yup. The Bittersweet is my favorite; namely, it was the very first flavor I ever tried and I loved everything about it. 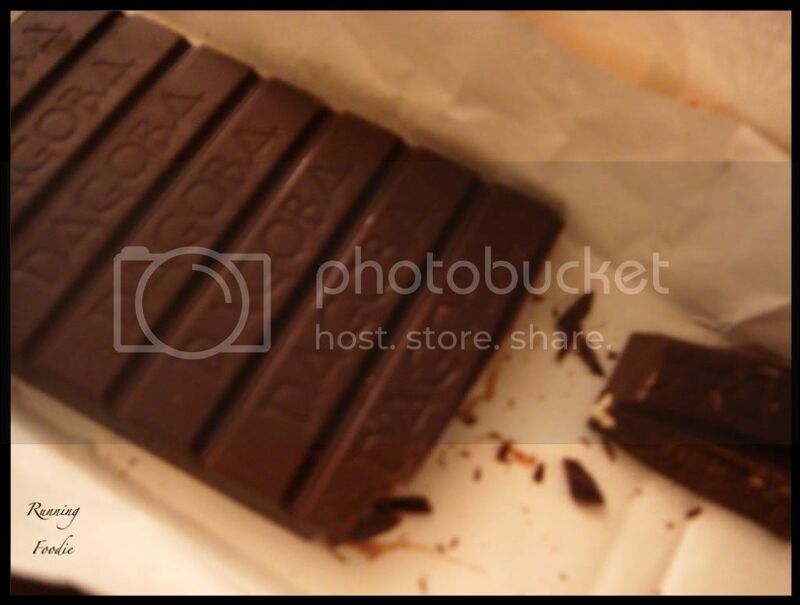 The chocolate is deep without being overpowering and has orange undertones. It melts smoothly and coats your tongue with a lusciously lingering taste. My favorite way to eat it is to break a smallish piece off, let it start melting (whatever you do, don't chew it), then take a sip of black coffee and swish it around your mouth, then swallow. The taste immediately following is a very pronounced emulsion of the chocolate and coffee flavors. Amazing. A week later, my dad brought Dagoba. 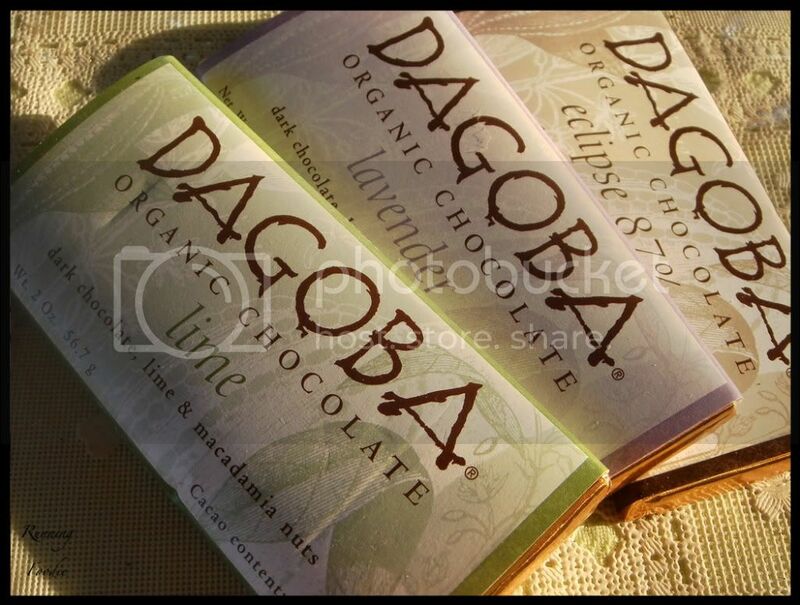 All I really knew about Dagoba was that it is one of Scharffen Berger's sister artisan brands. I was really looking forward to tasting and comparing, though I went into it mostly comparing it unto itself, as these were actually flavored and not simply chocolate with undertones. Lavender - Smells of soap. Tastes reminiscent of soap (probably due to the mind connection with soap, hm? ), but it grows on you... In the words of my dad, This is what rich kids eat when they cuss. Unlike the lime, I could actually tell this was lavender with just a tiny bit. Eclipse - Wow. My tongue was coated in a very dense, not-at-all smoothly melting chocolate. This chocolate was probably the least sweet chocolate I've had in a while, thought besides the annoying density it really wasn't that bad. Think: taste of cocoa powder, but with a slight note of sweetness. If that's your thing, as it usually is mine, you'll enjoy this chocolate. I'm on the lookout for other chocolates to blog about. A few brands come to mind immediately, but if there's one you like then let me know and I'll check it out. I'm definitely a choco-holic! When I go to marshals I'm always looking at the food stuff. I like to see all the wierd spices and the other strange canned stuff. I've never had anything considered "fine chocolate" But I'd love to. Next time I go to marshals I'll definitely look for this chocolate! I take my coffee seriously, too! 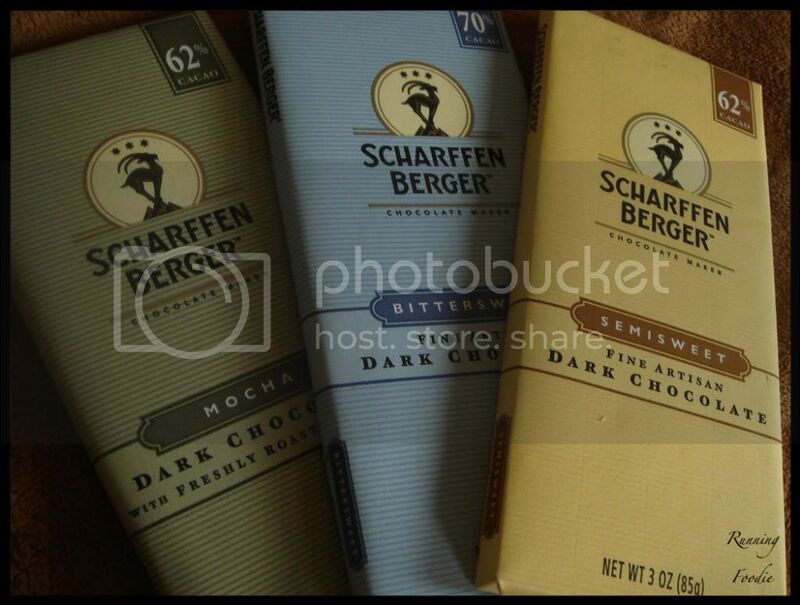 I can't believe you found Scarffen Berger Chocolate! And at Marshalls! I don't have access to good chocolate, here. We just have Lindt, Ghiradelli and Hershey's. Hershey's actually makes a dark chocolate bar with cacao nibs. I think it's pretty good. Colette - The only time I remember looking at the food, the different types of salt and pepper is what caught my eye. I should browse through that section again. Emiline - I'm not sure if I've had that particular Hershey's chocolate, but I have tried some of their Cacao Reserve bars. A few were good, much better than their milk chocolate. 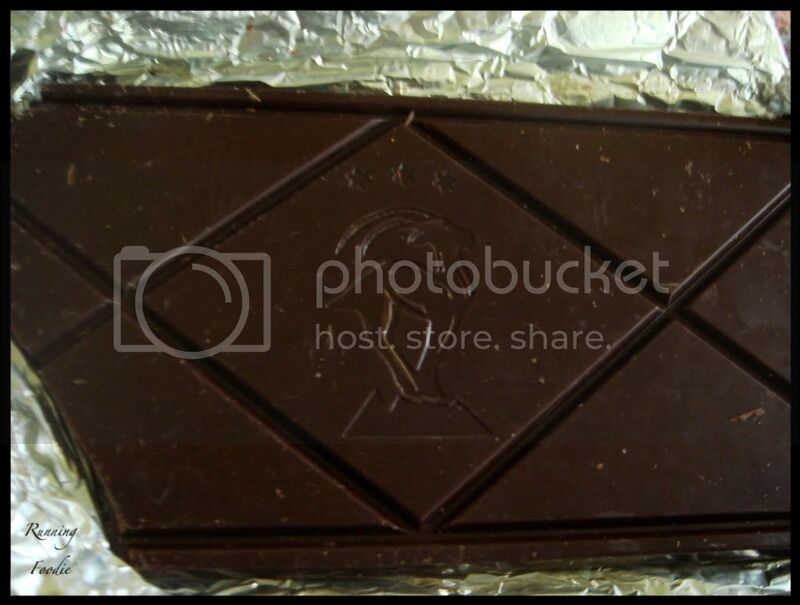 I could go for some chocolate right about now! wow! sounds like some good chocolate! Im gonna check out the marshalls in my neighborhood to see if they have these! Thanks for sharing~! I just like saying "dahhhhgoooobahhh"
I don't know, I am still warming up to the lavender taste that people say will one day grow on me. Love hte smell though. But I love, love, love that Lime Dagoba one. Have you tried Theo chocolate? Tina - Go get some chocolate, STAT! Lina - Glad I could help and I hope you find some! Dad - It is pretty fun to say. Dahhhgooobahhh! Cakespy - Heh, for kicks you should try rose water-flavored Turkish delights. Talk about soapy! Or in thought, anyway. No, I haven't heard of Theo chocolate. But, I just looked it up and it sounds really great and I like that it's fair trade. I'll be on the lookout for it! Jessy - Do it, try the cheesecake pops! If you want a fruit flavor (this is something I thought of too late), slice strawberries and place a slice on the top or bottom of the squares before you skewer them.